It is exciting and colorful and full of amazing things. The best thing in the world is YOU. Stephen Michael King’s book is a tribute to friendship and love in all its many forms. 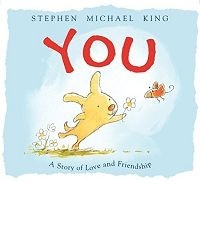 It is a book to give, to share, and to read with every person you love.